Danish Premier Jus Extra has been the top-selling product for Morrisons Foodservices since it was first introduced in 1977. 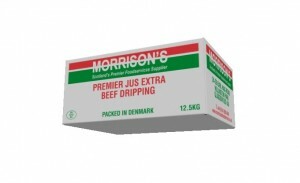 This natural beef dripping has proved to be extremely popular with Scottish fish fryers because of its tasty beef flavour. Manufactured using selected raw material which has been processed within 24 hours to guarantee freshness. 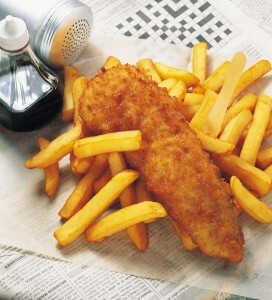 Perfectly suited to deep frying applications, it has a pleasant aroma when heated. Produces a crisp end result with pleasant flavour. Packed in Denmark Exclusively for Morrisons Foodservices!